Do You Need The Assistance Of a Painting Contractor in Chattanooga, TN? It’s almost summer, do you want to find a Chattanooga painting contractor to spruce up your home for the year? You can hopefully find everything that you’re wanting at Williams Painting Company. Our professional painting specialists have been bringing the perfect home improvement solutions for your interior & exterior needs since 1989. Let us lend you our expertise with our interior and exterior painting services, deck staining, and pressure washing. When you need to locate a painting contractor that can do exterior painting like none other, then call Williams Painting Company. We can meet you exterior’s needs by sprucing up the exterior of your home with a fresh coat of exterior paint. Exterior paint will increase the value of your home. If you were to ever sell your home, then you’d get more money out of it as you decided to put a little more equity into it. Having your home painted will fetch top dollar. Potential home buyers look for homes that have lots to offer. You’ll definitely grab a lot more curb appeal to your home after its been painted. From now on your neighbors will be laughing at the other homes in the neighborhood besides yours. 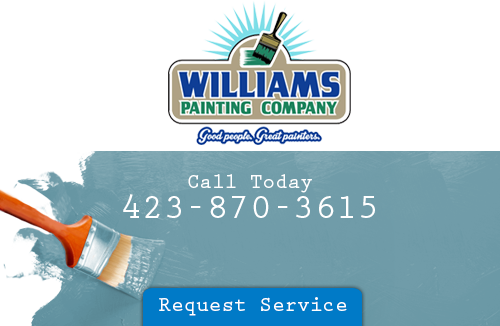 Call Williams Painting Company to see how we can brighten up your home. If you need a good house painter, then you should contact Williams Painting Company and we’ll have your walls painted as soon as possible. There is a lot that goes into the interior painting process. When you hire a Chattanooga painting contractor to brushstroke your wall, you’ll feel a lot better. Why settle for amateur work when you can have the work of experts? Williams Painting Company has been around for over 25 years and can paint all types of rooms inside of your home and out. You’ll never be disgusted by a lack of our quality work. We’re the painters that strive to make your home more beautiful. Beauty may only be skin deep, in most cases, but our house painters can bring the beauty to the surface. Make the call that’s going to change the look of your home. Call us today if you want a cleaner looking exterior. If your home has been overran by mold & mildew, then you might want to do something about it before the problems festers. Using a safe solution, we will pressure wash your home that will leave it looking great. Your home deserves to be clean on the inside and out. If you want a cleaner looking home, then a pressure washing from Williams Painting Company is all that you need. Our pressure washing service will make your home a little more modernized and appealing. 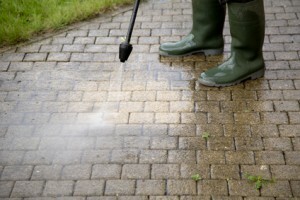 Just contact your Chattanooga pressure washing contractor today for more details. Thank you for the lovely job that you did painting my home and staining my deck. It truly brings me much pleasure when I drive up to my residence and see the pretty new colors and the total new look. Your workmanship, cooperation, persistence, and kindness were deeply appreciated. I will certainly call you again when I need some painting done and I will share your name with others. If you are looking for a Chattanooga painting contractor, please call 423-870-3615 or complete our online request form.